Parliament on Wednesday began scrutinizing the Biotechnology and Biosafety Bill 2012, which has been on the shelves for more than three years. The bill was first tabled in parliament in 2013 by then minister of state in charge of Planning Matia Kasaija. Its introduction drew both praise and sharp criticism from people against the introduction of genetically modified organisms (GMOs) in the country. While proponents of the bill believe that once passed, the already developed varieties of food crops that are drought-resistant will be given to farmers to plant and end hunger in Uganda, those against the bill have severally complained that introduction of GMOs will wipe out Uganda’s largely organic farming industry. On Wednesday, the committee on Science and Technology presented two reports of their findings on the bill, pitting the pro and anti-GMO legislators against each other. In the main report, committee chairman, Robert Kafeero Ssekitoleko (Nakifuma), said the committee had endorsed the bill because several GMO crops are already being researched on in Uganda and are in advanced stages. Kafeero said the enactment of an enabling law will enhance the safe development of modern biotechnology. “The biggest challenges are how to adapt the production of food in view of the climate changes, and how to develop further the role of agricultural biotechnology in combating the global challenge. Crop varieties that are more resilient to drought, flooding, saline or acid soils and temperature extremes resulting from climate change may be needed, and adaptation-related technologies, including biotechnology, may play their part,” the main report reads in part. The report states that the intention of the proposed law is to provide for a regulatory framework that facilitates the safe development and application of modern biotechnology in Uganda. However, two MPs on the committee, Atkins Katusabe (Bukonzo West) and Lee Denis Oguzu (Maracha), authored a minority report, raising concerns about genetic pollution, which may arise due to cross pollination, hence wiping out the traditional breeds and development of crop varieties that risk affecting soil fertility. The two MPs also outlined the risk of external influence, brought on by the varied interest in the introduction of GMOs in the country through foreign companies. He said amendments by the committee did not address the risk of external influence, which necessitates a comprehensive regulatory impact assessment to critically assess the adverse risks of external influence and financial sustainability of advancing biotechnology systems. “The country’s progress in biotechnology relies on donors who advance their own agenda or interests, which may include extending risk of GMO development away from their home countries. The bill should be referred back to the sponsor,” the minority report states. However, Kafeero said once the law is enacted, a national focal point and authority, as well as a national biosafety committee will be created to regulate the use of GMOs in the country. President Yoweri Museveni, while touring a demonstration farm at Kawumu State Lodge in Luweero district on March 20, said the bill will help the country resolve some of the problems the agriculture sector faces, including drought. Museveni said the bill should be passed to help improve farming practices, backed by modern research and technology. Peter Wamboga-Mugirya, a pro-GMO activist, told The Observer that the legislation should have been introduced years ago, to help combat the growing challenges in the agricultural sector. Citing the long spells of drought, coupled with the recent attack on crops by the fall armyworms, Mugirya said Ugandans are cold towards biotechnology because they have not been well informed about its benefits. “When virulent viruses attack crops, what can scientists do after they have applied all conventional methods to fight these diseases? Their best shot is at genetic engineering to counter these problems. Biotechnology gives advanced solutions; so, let us help our farmers,” Mugirya said in a phone interview. -Written by Olive Eyotaru in The Observer (Kampala) via AllAfrica.com. See original article link here. Will it, will it not? Uganda teeters on the brink of having a new bill to regulate genetically modified goods after President Yoweri Museveni cleared the air about which side he supports, writes JUSTUS LYATUU. The pressure to pass the Biotechnology and Biosafety Bill 2012 has started building up in recent weeks after some parts of the country experienced food shortages due to the prolonged drought. Proponents of the bill believe that once it is passed, the already developed varieties of food crops that are drought-resistant will be given to farmers to plant and this would end hunger in Uganda. President Yoweri Museveni says the bill will help the country resolve some of the problems the agriculture sector faces. President Museveni, on March 20, while touring a demonstration farm at Kawumu State Lodge in Luweero district, is quoted to have said that the bill should be passed to help improve farming practices, backed by modern research and technology. This month alone, the Uganda National Farmers Federation (UNFFE), researchers from National Crops Resources Research Institute (NaCCRi) in Namulonge and President Museveni called upon Parliament to quickly pass the Biotechnology and Biosafety Bill 2012. Farmers said the failure by the legislators to pass the bill has denied them the chance to access modern technologies being developed by the National Agricultural Research Organisation (Naro) centres spread across the country. Charles Ogang, the president of UNFFE, said Uganda will go on to lose opportunities to prevail over challenging agricultural production constraints that could be best addressed using technology. “Researchers have developed genetically modified bananas and cassava, which are resistant to drought and diseases such as bacterial wilt and cassava brown streak but cannot have access to these varieties without a law in place,” he said. According to Barbra Zawedde Mugwanya, the Uganda Biosciences Information Center (Ubic) coordinator at NaCCRI, farmers continue to suffer tremendous economic losses yet researchers are developing varieties and shelving them because there is no law. “There is a lot of food insecurity from manageable stresses such as pests, diseases and even drought. But we can’t give solutions because we don’t have the law,” she said. Mugwanya explained that scientists from Naro have identified the use of various measures and biotechnology has been identified as the best solution. “For instance, we have developed solutions to banana bacterial wilt, viruses in cassava, drought-resistant maize and rice. In fact, bacterial wilt disease is causing Uganda an annual loss of over Shs 600 million,” she said. Uganda is the only country carrying out biotechnology research without a law yet it has the largest number of crops under testing, which include cassava, banana, maize, potato, rice and sweet potatoes. “Our neighbours and major trading partners have put in place regulations to regulate the use of modern technology. Their products will enter our markets soon in an unregulated manner,” Mugwanya said. Kenya last year approved the use of GMO seeds. Antagonists, however, say that the growing of genetically modified organisms (GMOs) in the country will adversely affect Ugandans and make farming more expensive. Some of the common concerns include loss of indigenous seeds, failure of the genetically modified seeds to adapt to the different seasons, and the dominance of the large seed companies in Uganda’s agriculture sector. Mugwanya said the World Health Organization (WHO), Food and Agriculture Organization (FAO) and European Food Safety Association agree that genetically modified foods on the market are safe. “We are already consuming genetically modified products in Uganda. These are foods, beverages and drugs. All these products are imported from elsewhere and unregulated,” said Anita Tibasaaga, the media and public relations officer at Ubic. Harriet Ityang, an official from the ministry of Justice and Constitutional Affairs, said the bill emphasizes safety in using biotechnology by providing for measures to be taken to minimise or avoid risk to human health and the environment arising from actual or potential contact with a genetically modified organisms. “The bill provides for every application for research or general release to contain an emergency plan, complete with safety measures for unintentional release of a genetically-modified organism,” she said. She explained that Uganda needs a law in place before improved versions from biotechnology can be passed on to the farmers for planting. In 2014, the Information Technology and Innovation Foundation, an independent, nonpartisan research and educational institute focusing on the intersection of technological innovation and public policy, said seeds improved through biotechnology were grown by 16.5 million small farmers in 20 developing countries on 230 million acres (53 percent of the global total). Hakim Baliraine, a board member at Eastern and Southern Africa Small-scale Farmers’ Forum (ESAFF- Uganda), said GMOs will only give short-term solutions that are not sustainable in the long run. He explained that organic seeds are still relevant but the challenge is mainly caused by low soil fertility and environmental degradation. “Our soils are infertile due to mono-cropping. Also, changing weather patterns have affected farming, whether GMO or organic farming. Rain is needed. What government should do is to initiate irrigation schemes,” he said. Baliraine, who is also a member of Alliance for Food Sovereignty in Africa (AFISA), explained that genetically modified crops are highly dependent on fertlisers, which will increase a cost in farming. Baliraine said more work on the GMO bill is needed in order to accommodate the wishes of the organic farming community. “The bill will be good, but not in its current form. It does not explain what will happen to our seeds if they are contaminated by GMO seeds…,” he said. -Written by Justus Lyatuu in The Observer via AllAfrica. See original article link here. At least when it comes to biotechnology, President Trump’s Executive Order of 20 January freezing recent regulations provides a chance to get industry regulations right. As currently practiced, the regulatory system is functionally locked into the grossly overestimated potential for hazardous impacts perceived when the regulatory framework, titled “The CoordinatedFramework (CF) for the Regulation of Biotechnology,” was first implemented 30 years ago. The CF was developed by the White House Office of Science and Technology Policy (OSTP). OSTP brought together representatives of the three federal agencies seeking to regulate commercial applications of biotechnology to develop this guidance document. These were the Animal and Plant Health Inspection Service (APHIS) at the U.S. Department of Agriculture (USDA), the Environmental Protection Agency (EPA) and the Food and Drug Administration (FDA). The CF was written before we knew much about how organisms modified by the modern molecular methods (aka biotechnology) would be different from those modified by traditional methods when they came into use outside of laboratories. People worried a lot about unforeseen hazards, so the main objective of the CF was to find ways the new products could be captured for regulatory evaluation under existing statutes. 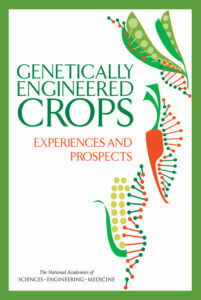 We now have had many decades of experience with biotechnology and the resulting genetically modified organisms (GMOs). We can say with confidence that no hazards have emerged that can be attributed to using biotechnology methods. Crops modified by such molecular methods have been in commercial production for two decades with no evidence of harm to either human health or the environment, according to a last year’s report from the National Academies of Sciences, Engineering and Medicine. Older overviews, including a 2010 report on a decade of EU-funded GMO research, have likewise failed to identify hazards unique to the use of the modern molecular modification techniques. By contrast, the economic and environmental benefits have been substantial. So a restructuring of the regulations to reflect growing scientific evidence and experience was overdue. What makes this challenge especially urgent is recent rapid development of new genome editing techniques based on the CRISPR/Cas9 system and various composite enzymes, such as TALENS, that cleave double-stranded DNA at specific sequences. These can be used to create the same kinds of genetic changes (mutations) that underlie all of plant and animal domestication, blurring the distinction between natural mutations (not regulated), mutations induced by chemicals and radiation (not regulated) and mutations created by the new enzyme systems. But that didn’t happen – and therein lies the opportunity. In late 2016, the interagency working group produced an update of the CF that – in many, many words – says which agency is responsible for which type of biotechnology product. It didn’t say anything about easing the regulatory burden in the light of evidence and experience. And neither did the second document they produced, titled “National Strategy for Modernizing the Regulatory System for Biotechnology Products.” This one outlines ways the responsible agencies can learn about new technologies and how they can better inform the public – and potential product developers – what they need to do to comply with the regulations. The devil, of course, is in the details – the rules – published in draft form in the Federal Register on January 19, 2017. In the new proposed rules, APHIS (the USDA’s Animal and Plant Health Inspection Service) acknowledged that experience had taught the agency that biotechnology methods do not produce plant pests, the fear of which was their original regulatory rationale. So they have come up with a new rationale, proposing to focus on the possibility that molecular genetic modification (GM) might produce noxious weeds. That seems reasonable for plants that start out as noxious weeds, but makes no sense at all for plants that have long been domesticated and have lost their weediness. The proposed rules apply to all plants that have been modified by any of the modern molecular methods. So what the USDA seems to be saying is that even though biotechnology hasn’t turned a crop plant into a plant pest, we now have to worry that any kind of genetic change might turn a non-weed into a weed. No evidence. Just concerns. What they give with one hand, they propose to take away with the other. Then there is the FDA’s draft guidance for genetically modified animals. The FDA proposes to regulate all animals with “intentionally altered genomic DNA” as new animal drugs! That is, except certain GM mosquitoes, which they’re turning over to the EPA to regulate as pesticides. nature, the animal must be regulated. Take hornless cattle. 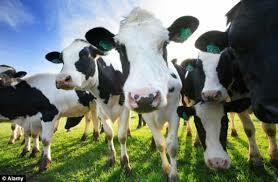 There are hornless beef cattle, but not hornless dairy cattle. Since horns are dangerous, dairy cattle are physically dehorned, a painful process. Scientists have produced hornless dairy cows by using genome-editing technology to disrupting the same gene in dairy cattle that a spontaneous mutation disrupted in beef cattle. FDA’s proposed rules would make the gene-edited dairy cattle a new animal drug. How much sense does this make? What’s the likelihood of an animal-calssified-as-a-drug making its way through the approval process? These rules were just published or are just being published as draft guidance, so they’re subject to President Trump’s Executive order titled “Regulatory Freeze Pending Review. Might it be possible to go a step further and revamp the entire existing regulatory framework for agricultural and environmental biotechnology using the CRA (Congressional Review Act) and the new executive order mandating the revocation of two regulations for every new one adopted? The scientific evidence of safety is in. Genetic modification by modern methods is as safe or safer than the still unregulated older methods, such as chemical and radiation mutagenesis, used for most of the last century. Existing regulations have protected us from nothing but our fears. Those fears may have been justifiable thirty years ago, but we now know them to be unjustified. Yet the original CF remains in place and is still applied only to organisms modified by biotechnology methods. This continues to cost millions of dollars, jobs, and opportunities to innovate. The multi-million dollar cost of regulatory compliance is out-of-reach for public sector researchers and a crushing burden to private sector companies. And the time required to gain regulatory approval is outrageous. 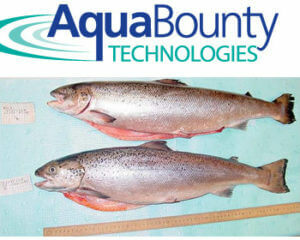 The FDA, for example, took more than a decade to approve the AquaBounty’s GM salmon and more than 7 years to approve the first trials of Oxitec’s GM mosquito (both companies are now subsidiaries of Intrexon). Regulation must focus on the product, not the process by which it was created. And it’s time to regulate only real hazards, of which there is a small number. The vast majority of agricultural applications represent minor tweeks of well-known organisms, from grains, fruits and vegetables, to chickens, pigs and cows. These can easily be classified as GRAS (generally regarded at safe) and don’t need regulation. Real regulatory reduction can substantially decrease the cost and time it takes to improve an agricultural organism through biotechnology. If done properly, it will unleash innovation and create jobs. GM crops, animals and microorganisms can make – and already have made – critical contributions to expanding the world’s food supply. Best of all, they can do this biologically, decreasing agriculture’s environmental footprint and making it more sustainable. This opinion piece was first published in shortened form on AgriPulse on February 6, 2017. -Published in The Genetic Literacy Project website. See original article link here. As previously covered here, on January 19, 2017, USDA published a proposed rule to update its regulations regarding the importation, interstate movement, and environmental release of certain genetically engineered organisms in response to advances in genetic engineering and the Agency’s understanding of the plant pest and noxious weed risk posed by genetically engineered organisms. The proposed updates would represent the first comprehensive revision of the regulations since they were established in 1987. Today, APHIS announced that it would be extending the comment period for the proposed rule to June 19, 2017. 82 FR 10312. With a new administration at the helm, it remains unclear whether this proposed rule will move forward following the end of the comment period on June 19, 2017. Industry stakeholders are encouraged to take advantage of this additional time to prepare and submit comments to the Agency to ensure that any future Agency action as it relates to the proposed rule will result in the least regulatory burden possible. -Published in The National Review. See original article link here. Will Biotechnology Regulations Squelch Food and Farming Innovation? Genetically engineered crops and animals (GMOs) have been a controversial public issue since the first products were introduced in the 1990s. They have posed unique challenges for governments to regulate. Although most working scientists in the field hold the opinion that genetic engineering, for the most part, is part of a continuum of the human manipulation of our food supply that’s gone on for thousands of years, critics contend differently. Many crop biotechnology skeptics frame their concerns in quasi-religious terms, as a violation of “nature” or fears that the increased use of GE foods will lead to a ‘corporate takeover’ of our seed and food systems, and the adoption of an ecologically destructive ‘industrialized’ agriculture system. GMOs have become a symbol of the battle over what our global, regional and local food systems should look like going forward. The clout of the food movement that vocally rejects many aspects of conventional farming has exponentially increased since then, promoted by mainstream journalists, scientists and non-profit groups from Michael Pollan to Consumers Union to the Environmental Working Group. Organic leaders and lobbyists, such as Gary Hirshberg, founder of Stonyfield Organics and Just Label It, openly demonize conventional food and farming in defiance of their commitments agreed to in the 1990s that organic food would not be promoted at the expense of conventional agriculture. Attempts to reign in the unchecked influence of the conventional food critics have repeatedly failed; over much of the past decade, they’ve had a sympathetic ear in Washington. Partly in response to the prevailing winds, the USDA has evolved increasingly byzantine regulatory structures when it comes to new GE products. The Genetic Literacy Project 10-part series Beyond the Science II (Beyond the Science I can be viewed here) commences with this introductory article. Leading scientists, journalists and social scientists explore the ramifications of genetic engineering and so-called new breeding technologies (NBTs), specifically gene-editing technologies such as CRISPR. We will post two articles each week, on Tuesday and Wednesday, over the next 5 weeks. Regulation is at the heart of this ongoing debate. Many scientists and entrepreneurs have come to view the two key agencies regulating GE in the United States — the Food and Drug Administration and Department of Agriculture — as places where ‘innovation goes to die.’ That’s an exaggeration, but not without some truth; regulations are inherently political, and the winds have been blowing against technological breakthroughs in agriculture for much of the last decade. On average, it takes upwards of $125 million and 7-10 years for the Agriculture Department to approve a trait, exhausting almost half of a new products 20-year patent protection. No wonder the agricultural sector is consolidating, and most new products are innovated by larger corporations. The regulatory climate may be changing, perhaps radically, in the United States and possibly in the United Kingdom, as the result of recent elections. Many of the old rules and regulations regulating GE crops were set up in the 1980s and early 1990s. They are arguably creaky, overly-restrictive and do not account for dramatic increases in our understanding of how genetic engineering works and the now clear consensus on their safety. Now with NBTs, which are largely unregulated since the techniques were not foreseen 30 years ago when regulations were first formulated, agricultural genetic research is at an inflection point: Will governments make the same mistake that they did previously and regulate innovation almost out of existence, or will they incorporate reasonable risk-risk and risk-benefit calculations in evaluating which technological advances should proceed with limited regulations? Decisions on these issues will shape not only food and farming in Europe, North America and the industrialized nations, but the food insecure developing world, which looks to the West for regulatory guidance. The second article in our series, by University of California animal geneticist Alison Van Eenennaam, addresses the challenges of regulating genetically engineered animals. She focuses on dehorned cows, which have been developed without gene editing over many years with, at times, less than optimal results. Should gene editing be evaluated on a case-by-case basis triggered by the novelty of the traits, or should the entire process be heavily regulated — the general approach favored by the European Union in regulating more conventional genetic engineering? Pesticide Debate: How Should Agricultural Chemicals Be Regulated to Encourage Sustainability? Dave Walton, an Iowa farmer, discusses the brouhaha that has erupted in recent years over the use of glyphosate, the active ingredient in the weed killer originally developed under patent by Monsanto. Many GMO critics are now expressing concerns over pesticide use in conventional agriculture, using glyphosate as a proxy for attacking the technology. Are their concerns appropriate? Walton, who grows both GE and non-GE crops and is director of the Iowa Soybean Association, has used glyphosate on his farm since the introduction of herbicide resistant crops in 1996. He uses on average a soda-sized cup of glyphosate per acre, and the use of the herbicide has allowed him to switch from more toxic chemicals. Most strikingly he discusses the sustainability impact if a glyphosate ban is imposed, as many activists are calling for. Plant pathologist Steve Savage challenges us to think in a more nuanced way about a popular belief that organic farming is ecologically superior to conventional agriculture. The Agricultural Department has been a fractious mess in recent years in its efforts to oversee and encourage new breeding technologies. When the Clinton administration oversaw the founding of the National Organics Standards Board in 1995, USDA officials extracted the commitment from organic industry that the alternative farming system would not be promoted at the expense of conventional agriculture. After all, study after study, then and now, has established that organic farming offers no safety nor clear ecological benefits. While GE crops were pioneered in the United States and embraced in other western coun- tries outside of Europe, there has been resistance in regions of the world where these innovations could arguably bring the most impact: Africa and poorer sections of Asia. Ma- haletchumy Arujanan, executive director of Malaysian Biotechnology Information Centre and editor-in-chief of The Petri Dish, the first science newspaper in Malaysia, takes on the emerging Asian food security crisis posed by a parallel rise in population and living (and food consumption) standards. She reviews the successes and failures in various countries, and the effective campaigns by anti-GMO NGOs, mostly European funded, to block further biotech innovation. Margaret Karembu, director of International Service for the Acquisition of Agribiotech Applications, Africa regional office (ISSSA) AfriCenter based in Nairobi, has found a similar pattern of mostly European-funded NGOs attempting to sabotage research and spread misinformation about the basic science of crop biotechnology. Africa is the ultimate ‘organic experiment’, and farmers have failed miserably using family agro-ecology techniques for decades. Cracks are beginning to form in the anti-GMO wall erected across the continent and there are hopes that young people will be attracted to farming, lured by the introduction of GE crops and other innovations. Brandon McFadden, assistant professor in the Food and Resource Economics Department, University of Florida, addresses the complex views of consumers regarding innovation and GE foods. The public has a widely distorted perception of what genetic engineering entails, which helps explain why consumers remain so skeptical about technological innovation in farming. Julie Kelly, a contributing writer to numerous publications including the Wall Street Journal, National Review and the GLP, takes on Hollywood in her analysis of the celebrity embrace of the anti-GMO movement. Who are the ‘movers and shakers’ manipulating public opinion in favor of the organic movement and against conventional agriculture? Is the celebrity-backed science misinformation campaign working? Paul Vincelli, extension professor and Provost’s Distinguished Service Professor at the University of Kentucky, has been perturbed about the attack on independent university researchers for working with the biotechnology industry over the years. By law, land grant university scientists are required to work with all stakeholders, particularly corporations who are developing the products used by farmers, including organic farmers. No, scientists who partner with corporations in research and product development are not ‘shills’. He rejects the knee jerk belief, advanced by many activist critics of GE crops, that corporate funding necessarily corrupts science and should be banned. Anti-GMO critics cite opinion polls and the votes of anti-GMO legislators in Europe and elsewhere as ‘proof’ that genetic engineering should be curtailed and more heavily regulated. That’s a rickety platform if one believes in science, however; science is not a popularity contest. The Genetic Literacy Project is a 501(c)(3) non profit dedicated to helping the public, journalists, policy makers and scientists better communicate the advances and ethical and technological challenges ushered in by the biotechnology and genetics revolution, addressing both human genetics and food and farming. We are one of two websites overseen by the Science Literacy Project; our sister site, the Epigenetics Literacy Project, addresses the challenges surrounding emerging data-rich technologies. Jon Entine is the founder of the Science Literacy Project. -Published in The Genetic Literary Project and written by Jon Entine, Executive Director, Genetic Literacy Project. See original article link here.